The issue at hand is the Anti-Semitism Awareness Act, which would codify the State Department’s definition of the phenomenon. 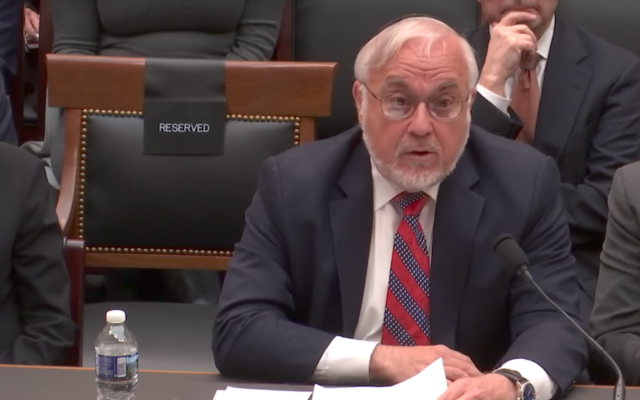 WASHINGTON (JTA) — A U.S. House of Representatives committee heard tough exchanges between proponents and opponents of a bill that would codify a definition of anti-Semitism that incorporates a controversial component addressing attacks on Israel. 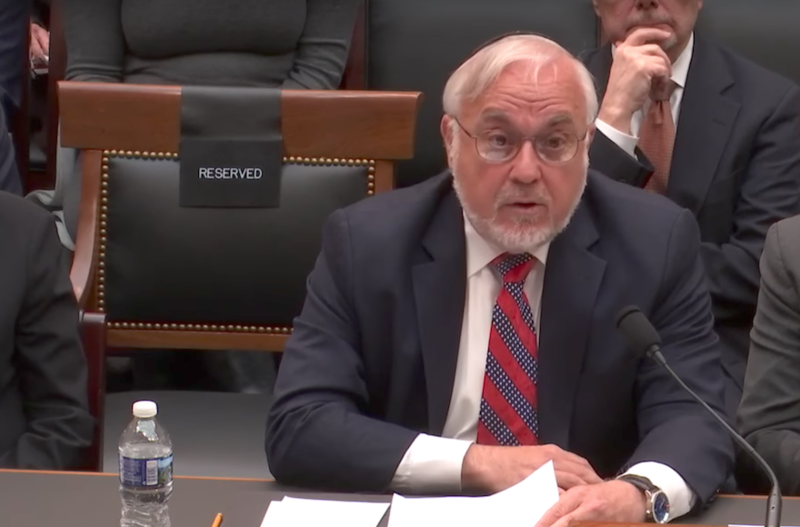 The nine witnesses appearing Tuesday at a meeting of the House Judiciary Committee were split: Five among those said the proposed addition to federal anti-discrimination statutes is a necessary means of stemming anti-Semitism on campuses, and four who argued it infringes on speech freedoms. The law if enacted would apply to Title VI of the 1964 Civil Rights Act, which addresses institutions — including universities — that receive federal funding. The witnesses at times directly addressed one another, violating congressional protocol. Barbs were exchanged, with each side questioning the bona fides of the other in defining anti-Semitism. In a bizarre twist, the coauthors of the language that the bill would codify argued opposing viewpoints. Lawmakers — who also bickered at times — marveled at the Jewish family food fight they were witnessing. “It’s like throwing a ball and having a scrum and seeing who wins,” Rep. Doug Collins, R-Ga., said. At issue is the Anti-Semitism Awareness Act — a version also is under consideration in the Senate — which would codify the State Department’s definition of the phenomenon, which is used by diplomats to identify the problem and report on it. Top officials of the Anti-Defamation League, the American Jewish Committee, the Simon Wiesenthal Center and Christians United for Israel advocated for the proposed statute, as did Paul Clement, a former U.S. Solicitor General. Opposing were two Jewish studies professors, the director of PEN America — a speech freedom umbrella — and the head of an outfit that combats anti-Semitism. Representing the American Jewish Committee, which backs the bill, was Rabbi Andy Baker, the AJC’s director of International Jewish Affairs. Ken Stern, who in 2004 when both he and Baker were employed by AJC drafted the language in question, now directs the Justus & Karin Rosenberg Foundation, which combats anti-Semitism. Stern opposes codifying the language into law, although he still endorses the language for its intended use, as a means for diplomats to identify anti-Semitism. In his testimony, Stern said that the tough standards he would apply in assessing whether a speech at the United Nations by Iran’s president was anti-Semitic should not devolve onto college freshmen. He said it would be especially cruel to young Jews still testing their boundaries within the community. “Whether or not you can be an 18-year-old anti-Zionist and within the (Jewish) community is not a debate Congress should decide,” he said. Proponents said that the bill would not inhibit speech because the definition would only be applied when assessing whether a Title VI-banned act — violence or a bid to shut off speech — was anti-Semitic, and not to anti-Semitic speech in and of itself. “It wouldn’t raise First Amendment problems, it would only be triggered by harassment,” said Clement. That, Stern said, was “disingenuous” — a federal statute would naturally inhibit speech. “When you prioritize a certain definition it has the weight of having Congress behind it,” he said. Barry Trachtenberg, a Jewish studies professor at Wake Forest University in North Carolina, seemed to accuse proponents of the legislation of bad faith. “They are part of a persistent campaign to thwart scholarship, debate, and activism critical of Israel,” he said. 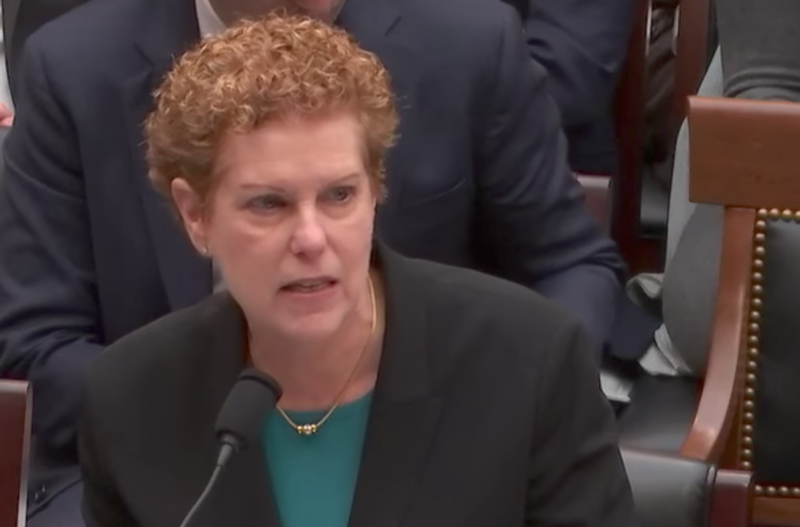 The Simon Wiesenthal Center’s Rabbi Abraham Cooper and the ADL’s Jonathan Greenblatt fired shots at Trachtenberg, and at Pamela Nadell, the president of the Association for Jewish Studies, saying that academics were not in the trenches. Cooper chided the committee for inviting them. “It’s like inviting people from the Flat Earth Society to a hearing about NASA,” he said. Greenblatt mocked them as being ensconced in an ivory tower. Cooper seemed visibly uncomfortable, crowded next to Trachtenberg at the witness table, who kept staring at him. Cooper kept emphasizing that the Jewish leadership in its entirety backed the bill, seeming to sideline Stern’s organizational affiliation. At one point Cooper’s insistence that the entire Jewish community backed the bill drew a correction from Rep. Jerry Nadler, D-N.Y., who produced a letter from J Street U, the liberal Middle Eastern lobby’s campus affiliate, opposing the bill. Some lawmakers vigorously backed the bill. Rep. Ted Deutch, D-Fla., the Jewish lawmaker who wrote the bill with Rep. Pete Roskam, R-Ill., was infuriated by Stern’s claim that the bill would victimize freshmen searching for answers. “Saying this is an effort to go after Jewish anti-Zionists is the reddest of red herrings,” he said. At times, lawmakers also took partisan shots. Rep. Louis Gohmert, R-Texas, called for protections of politically conservative Jews on campus, although it was unclear whether he thought the bill would favor or undercut such protections. Rep. David Cicilline, D-R.I., who is Jewish, described a rise in anti-Semitism he said was spurred by President Donald Trump and his associations with the alt-right. Rep. Trent Franks, R-Ariz., the committee’s deputy chairman who at that point had assumed the gavel after Goodlatte absented himself, was outraged. “That the first president to stand in front of the Western Wall and pray could be called anti-Semitic!” he said. Cicilline asked for more time to explain. “No,” said Franks, and banged the gavel.